Legendary for its true-to-tradition design techniques and spearheading artistry, Swiss timepiece manufacturer Bovet has been defining the face of its industry since its conception in 1822. But since Pascal Raffy’s acquisition of the company 12 years ago, Bovet has also harbored a passionate commitment to using its resources and creativity to craft a better place for children living in need. 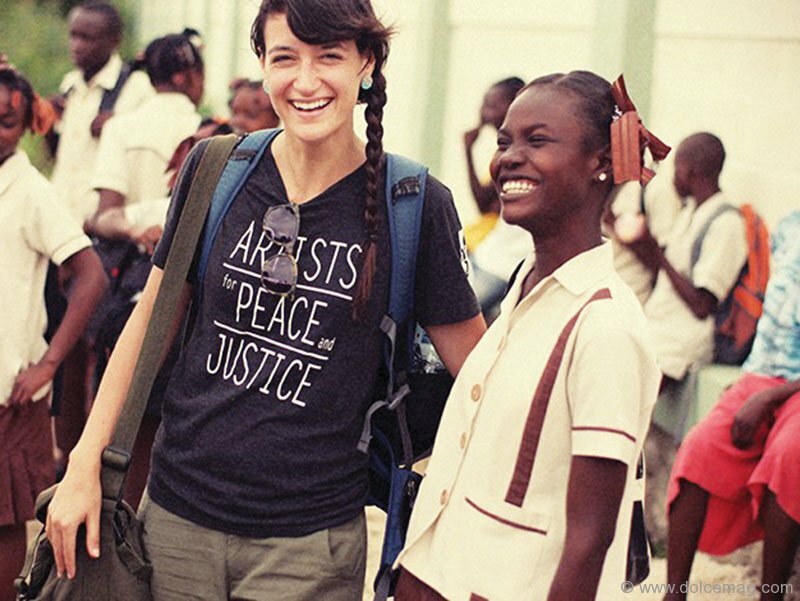 It’s through this desire for change that an electric friendship has formed between Bovet and the world-renowned Artists for Peace and Justice, an organization whose focus is on breaking through the extreme poverty in Haiti to unearth potential in, and opportunities for, the individuals living there — specifically the youth. At this year’s highly anticipated Artists for Peace and Justice Canada 2013 Festival Lunch in Toronto, this friendship will, once more, come to life as both Raffy and Artists for Peace and Justice founder Paul Haggis gather to celebrate their mutual belief: that “education has the power to change a nation.” This motto, and the synergy between the two organizations, will cultivate in Bovet’s special contribution to this year’s auction table: a one-of-a-kind timepiece designed specially for the cause. 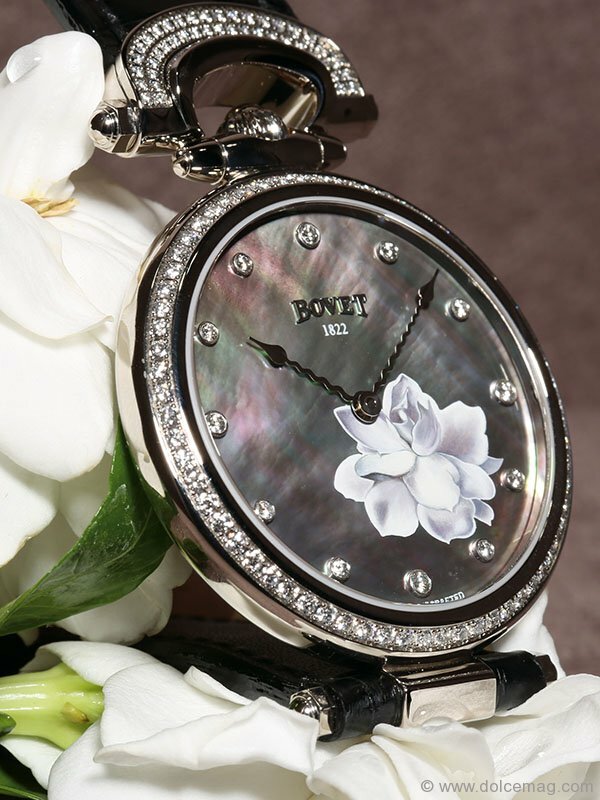 The piece, crafted by the Bovet artisans in Switzerland, winks with diamonds and shimmers with an iridescent mother-of-pearl dial, accented by the pièce de résistance: a hand-painted gardenia on the dial, symbolizing purity, sincerity and beauty. These are a handful of themes that will be celebrated throughout the Festival Lunch, being held at the magnificent Budman Family Residence on Sunday, Sept. 8th. Presented by Roots and taking place during the opening weekend of the Toronto International Film Festival, the guest list is as star-studded as the red carpet: celebrity guests Mila Kunis, Liam Neeson, Olivia Wilde and James Franco will show their support, while George Stroumboulopoulos will play co-host alongside Haggis and Raffy themselves. The roster of A-list attendees will also include leading philanthropists and businesspeople from across Canada and the world, all coming together to raise funds for the various Haitian programs that Artists for Peace and Justice Canada supports. 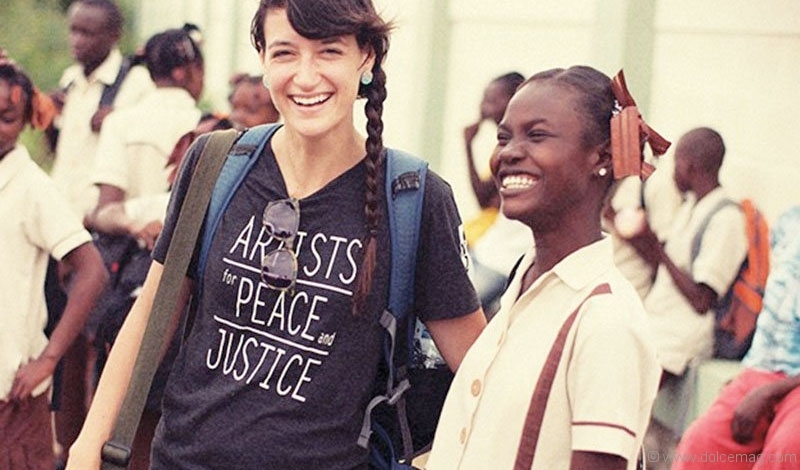 Funds raised at last year’s edition of the Festival Lunch covered the bulk of operational costs at the Academy for Peace and Justice, which currently educates 1,400 underprivileged middle- and secondary-school students in Port-au-Prince, and which will welcome a class of 400 more students this fall. While the relationship between Bovet and APJ started in 2012, the two organizations have created a dynamic that is already shifting the state of poverty in Haiti. With the promise of a long-term future in partnership, the spirit of Artists for Peace and Justice is embedded in Bovet’s craftsmanship, as their mutual goal of serving education and future generations becomes a reality. For ticket inquiries and group packages, or to discover how you can get involved in the cause, reach out to Artists for Peace and Justice.